Now that you have finished the book, Omnivore's Dilemma, test how much you've learned! How did farmers back in the early 1900's get their seed? Why don't they grow their own seed anymore? Tell whether the following statements are true or false. Farms no longer grow multiple crops, have different livestock, and feed their own family. 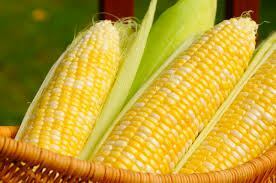 Genetically modified corn is created in a laboratory. Hybrid seed cannot resist disease and grows less corn. Match the words and definitions. Cattle and chickens are fed corn. The idea of organic foods caught on because of a book discussing the dangers of pesticides in 1969.